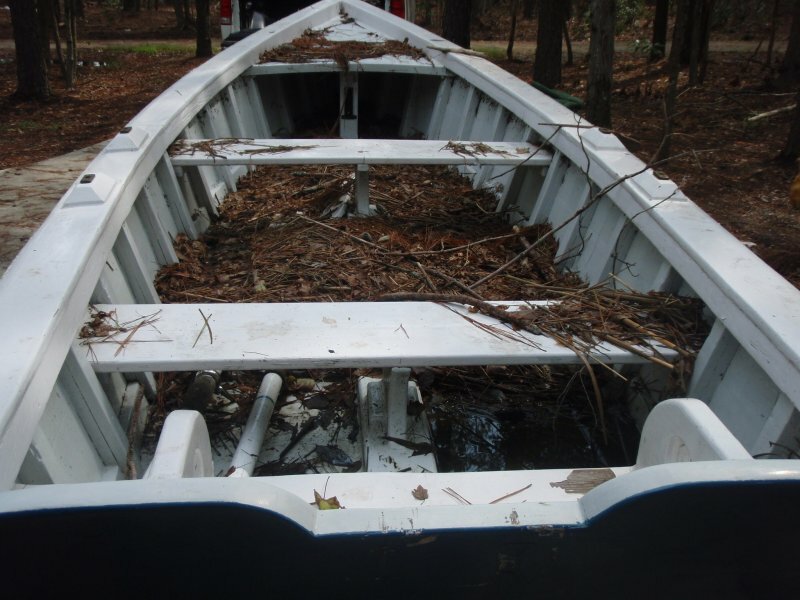 Twelve years ago, Bill Burns and his sons rescued an old cedar skiff that was being used as a lawn ornament in Oriental, North Carolina. 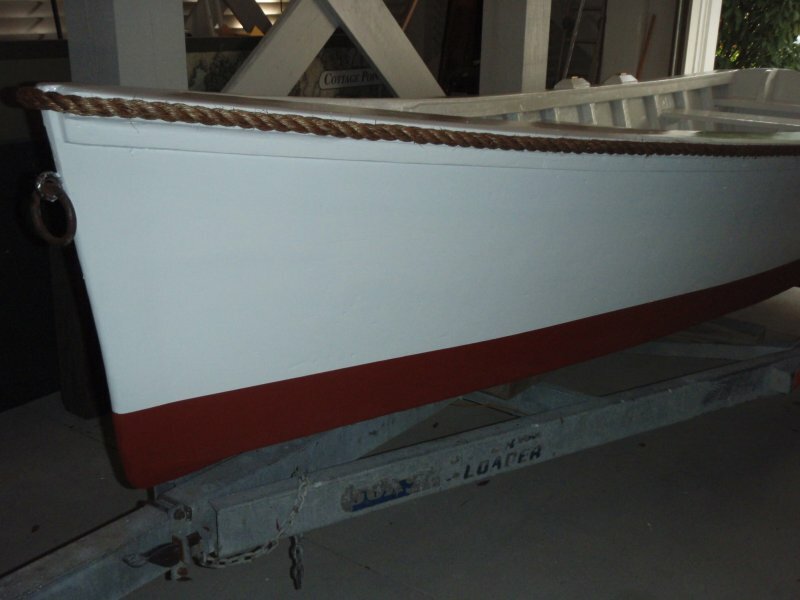 The started restoring the 16′ skiff by replacing some rotted areas, including most of the transom. 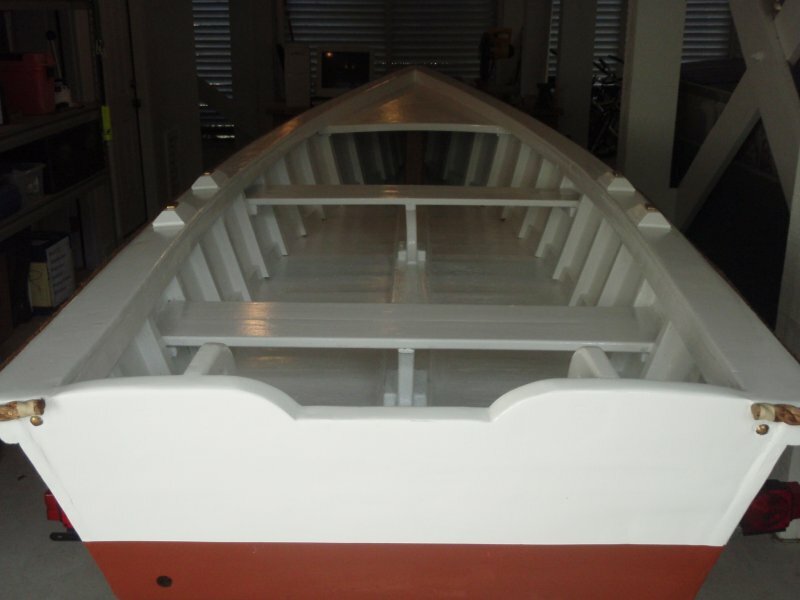 Then they added seats and gave her a whole new coat of paint. The skiff spent 11 years at their dock on the Pamlico River. 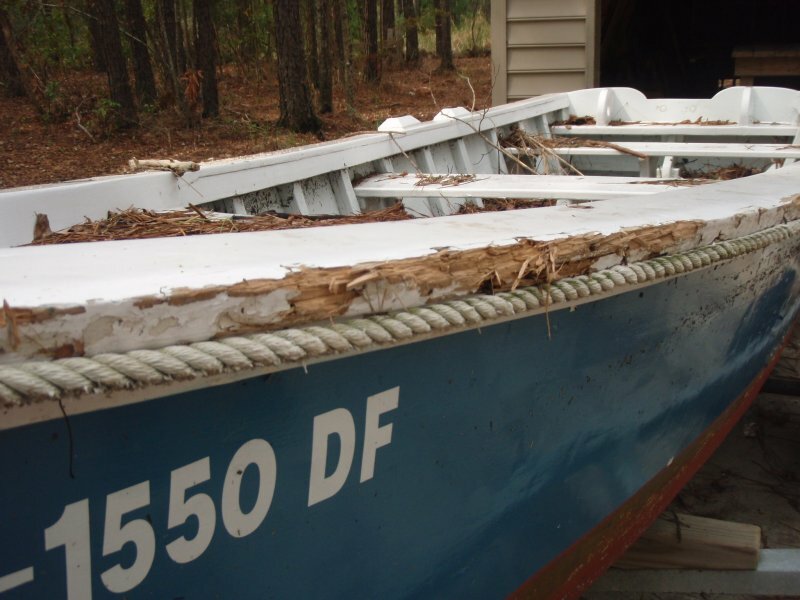 Then Hurricane Irene came to visit, and damaged the skiff badly. Bill and sons have repaired the skiff all over again and she floats once more at their family dock.